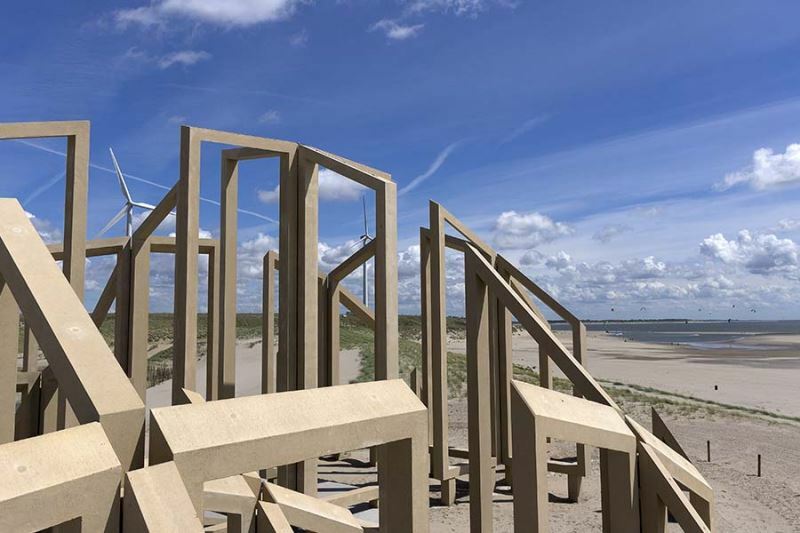 A spectacular work of art has been constructed on the public beach at Maasvlakte II: the Zandwacht. 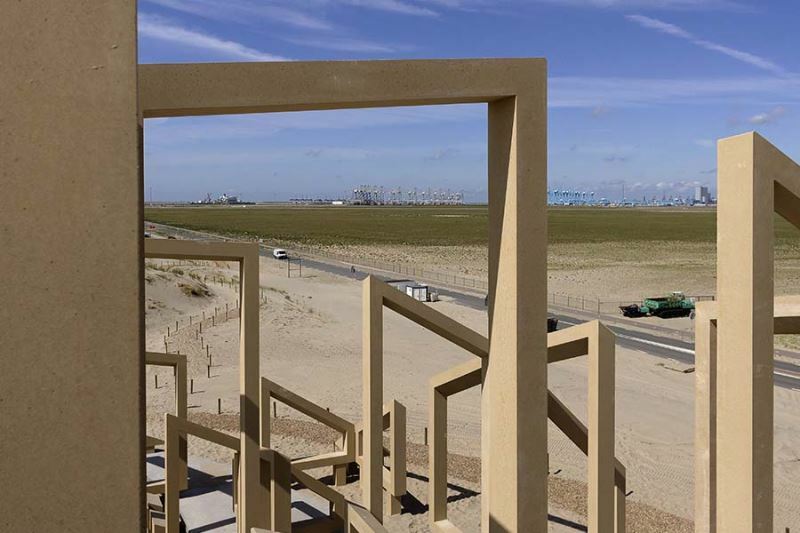 The artwork measuring 20 by 40 metres marks the completion of the construction of Maasvlakte II and is sited where the Old and New Maas join. Under commission from Port of Rotterdam Authority, the Observatorium artists' collective devised the Zandwacht. 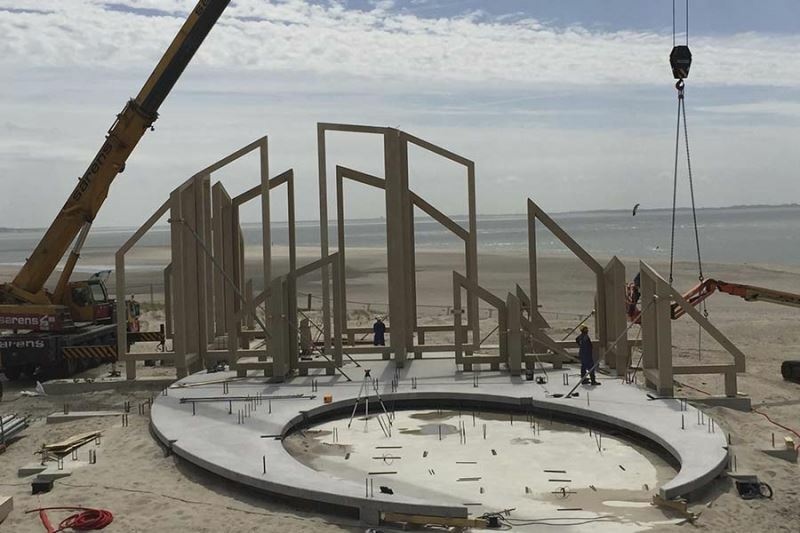 Slim frames from High Strength Concrete symbolise a dune. 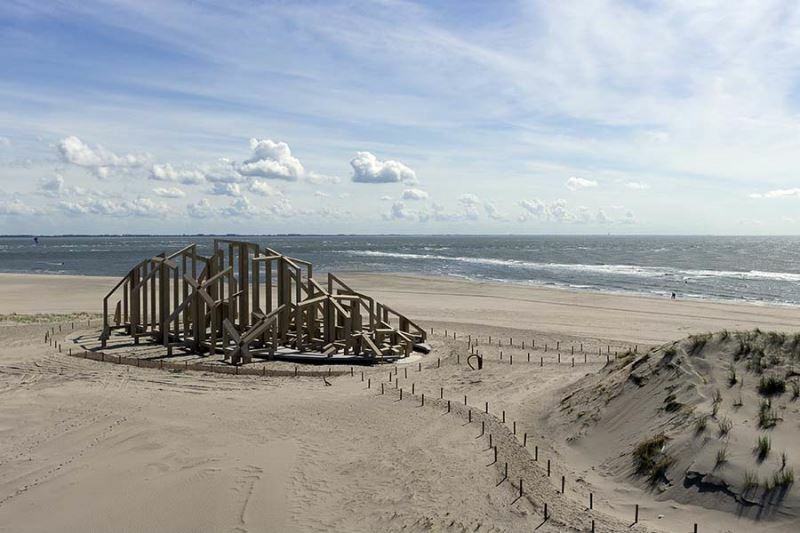 The Zandwacht symbolises how dunes are formed by the sand being banked up by strong winds and then falling down again on the leeward side. There is also a link with the dynamic sand landscape and industry. 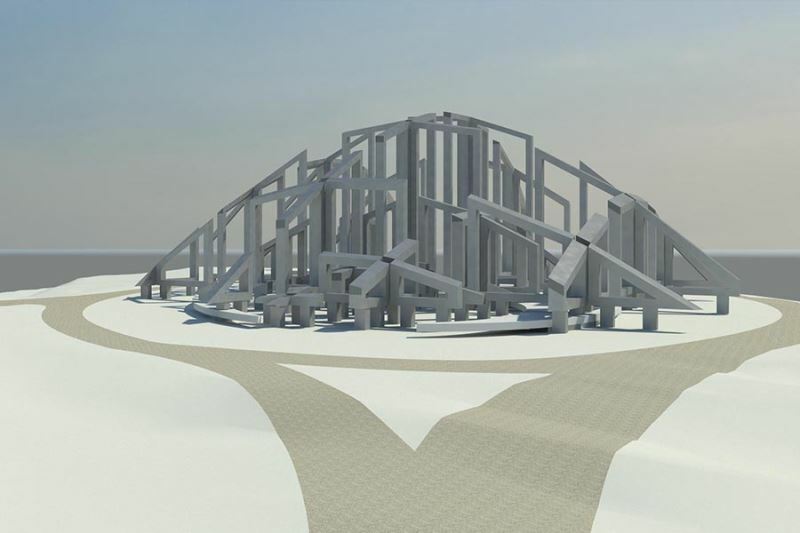 The slim framework has to withstand extreme weather conditions. The safety and durability of the slim frames play a significant role here. ABT investigated the feasibility together with Port of Rotterdam Authority and Observatorium. 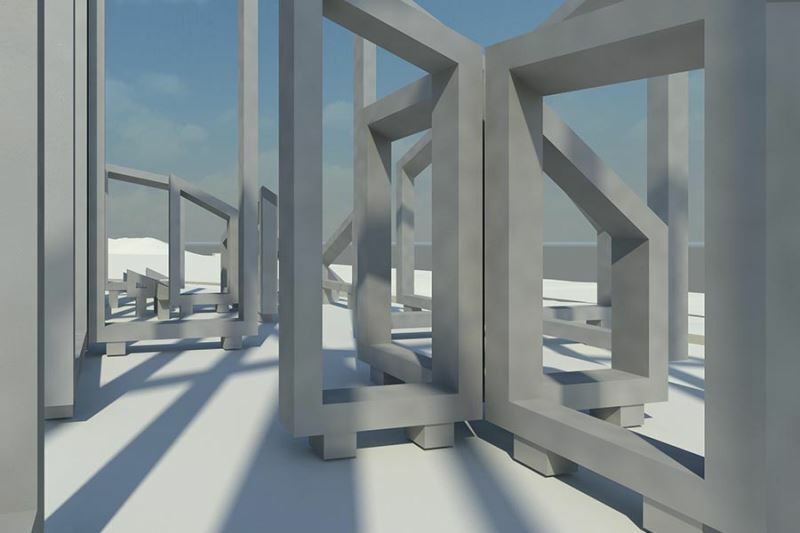 A technical design was then created in, among other things, BIM. A point cloud made it possible to position the Zandwacht clearly in the dune landscape. It emerged from the feasibility investigation and the design that High Strength Concrete best suits these weather conditions. A beam frame on a granular fill forms the foundations. This spreads the loads from the concrete elements to the subsoil and generates sufficient load-bearing capacity. During the preparation, a great deal of attention was paid to the elements' appearance. Colour, texture and dimensions are essential in this respect. All the information has been recorded in a project specification in accordance with the revised CUR100 recommendation for bare concrete. Room was left during construction for more specific detailing and making trial items and elements. The Zandwacht was built over a brief construction phase. Betonindustrie De Veluwe Concrete built the frames and acted as main contractor. ABT was responsible for the project management and the technical supervision. The artwork draws together symbolism and technology in an effective way. 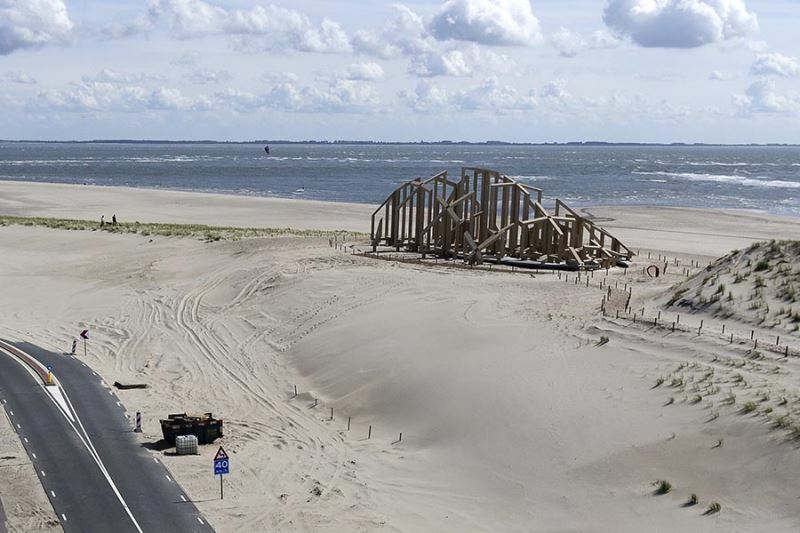 Creativity and sound collaboration between those involved resulted in a new landmark on Maasvlakte II.